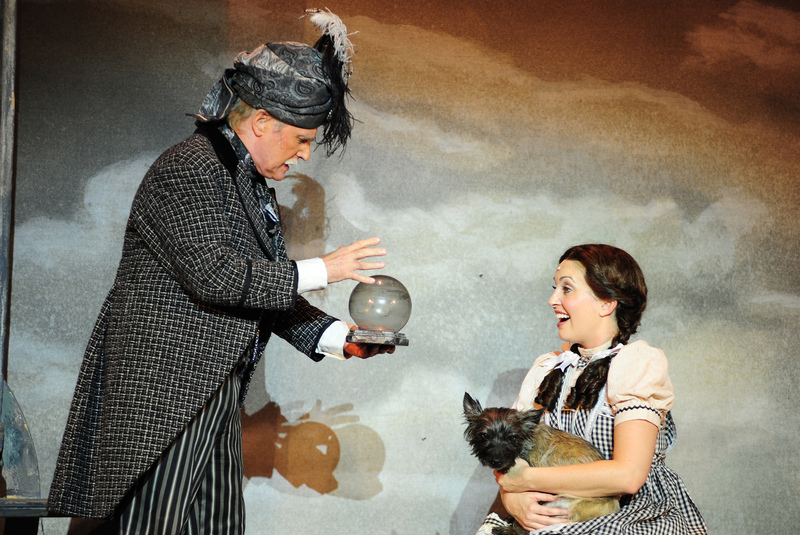 “The Wizard Of OZ” Really Is A ‘Whiz’ Of A Show In Fullerton, CA! Who among us hasn’t seen the classic movie based on L. Frank Baum’s immortal book? Yet, who can say with the same affirmation that they’ve seen the stage version based on that same film? 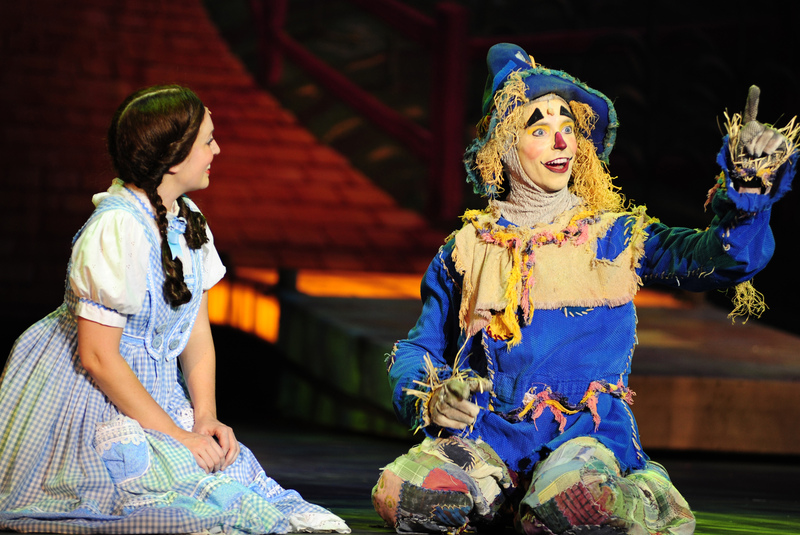 Either way, ‘hold on to you breath, hold on your heart, hold on to you hope“, because now “there’s no place like” the landmark Plummer Auditorium in Fullerton California as 3D Theatricals rounds out their season with the hit musical, “The Wizard Of OZ‘! Patterned after the MGM motion picture, this version was originally adapted by John Kane for the Royal Shakespeare Company back in 1988. All the songs are maintained from the award-winning big screen score by Harold Arlen and E.Y. Yip Harburg, and then some as they include original lyrics, introductions and entire sequences that wound up on the studio’s cutting room floor. Having eventually found its way to the US with several ground-breaking productions (including one at New Jersey’s Paper Mill Playhouse,) it was later remounted at New York City’s Madison Square Garden which proved to be such a winner that a National Tour was launched. Nonetheless, from main curtain of rich emerald to the illuminated yellow (and sometimes green) cat walk surrounding the orchestra pit, to simply call this one ‘colorful’ would be a humongous understatement! In the same spirit, numerous design elements call to mind those outrageous Saturday Morning kiddie-programs by “Sid and Marty Croft”. For example, the Oz-ians’ outfits that open the second act are worthy of “Project Runway” challenge, while in one of the more clever (not to mention subtle) backdrops, Munchkinland recalls the facade of Disney‘s “It’s A Small World”. Casting-wise, pretty much everyone here doubles at least one other character, save for Dorothy; then again, hers is the one performance on whom every other hinges upon–she’s practically in every scene! 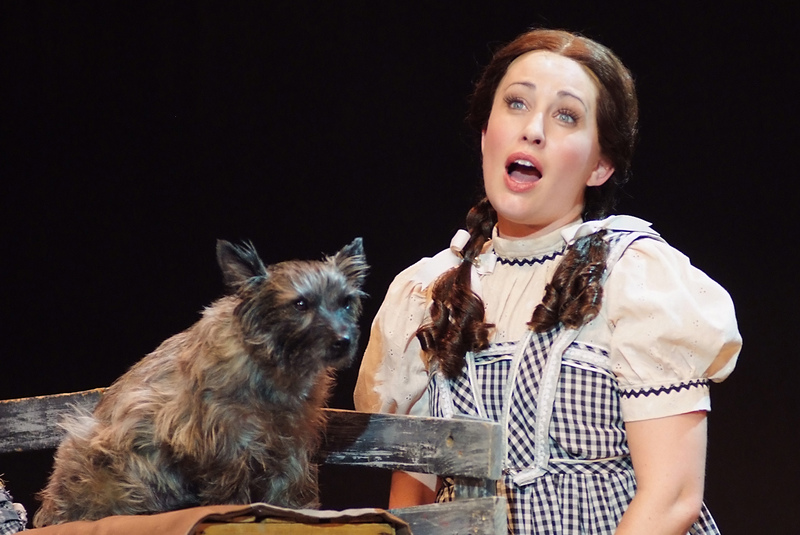 Consider too that those Ruby Slippers are some mighty big shoes to fill given all those who’ve previously played the iconic little girl from Kansas. No worries though–Melinda Koen is standing-ovation worthy, with a pristine vocal prowess which she wields well in the service of all these terrific songs, as just those first few notes of the seldom heard opening verse to “Somewhere Over The Rainbow” attests. 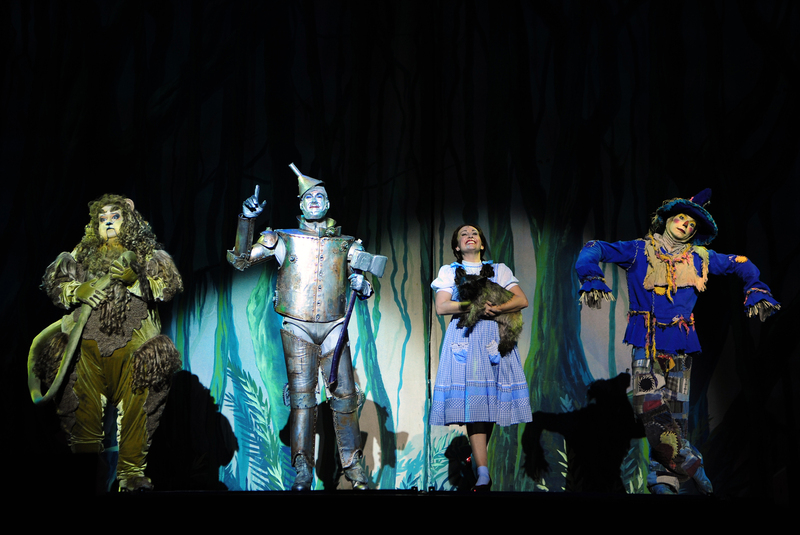 Similarly, each of the three friends she meets on her way down that yellow brick road, possess their own unique talents that are also put to fine use from beginning to end. Demonstrating a few dulcet tones and navigating plenty of fancy footwork throughout, Graham Kurtz as the Scarecrow is flexible but not clumsy (ala “Ray Bolger’s interpretation.) He really shines though in the “Jitter Bug”. In addition, as the Tin-man, Ryan Ruge has a giant voice and flair for dance that transcend any constrictions caused by his metal casings (–the nifty tap break during “If I Only Had A Heart” is particularly memorable.) Meanwhile, CJ Porter’s Cowardly Lion is a hilarious cross between Jack Black and “The Family Guy‘s“ Peter Griffin. His comic riffs during “If I Were King Of The Forest”, instantly elevates this frequently overlooked interlude into a bona-fide showstopper! 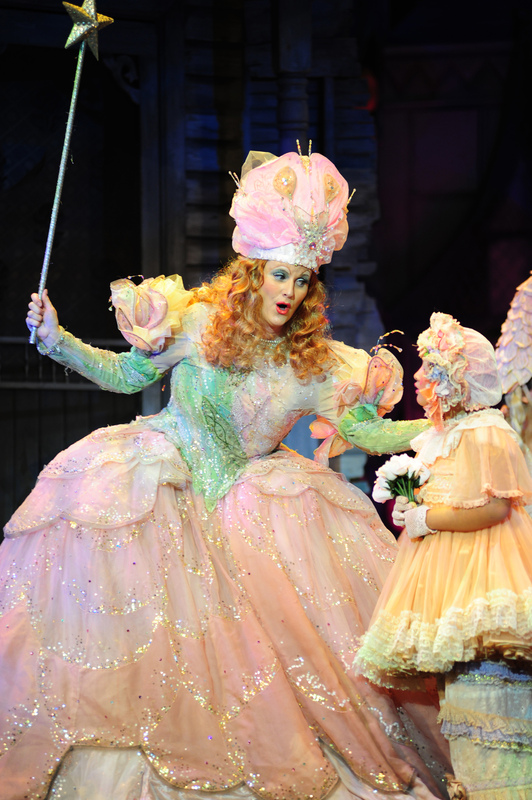 According to Producer TJ Dawson, 3D Theatricals began as a family owned and operated producing venture back in 2009, with the goal of “giving older shows new life”. How wonderful then, that in the case of their present offering, they’ve succeeded better than any Wizard could ever imagine! 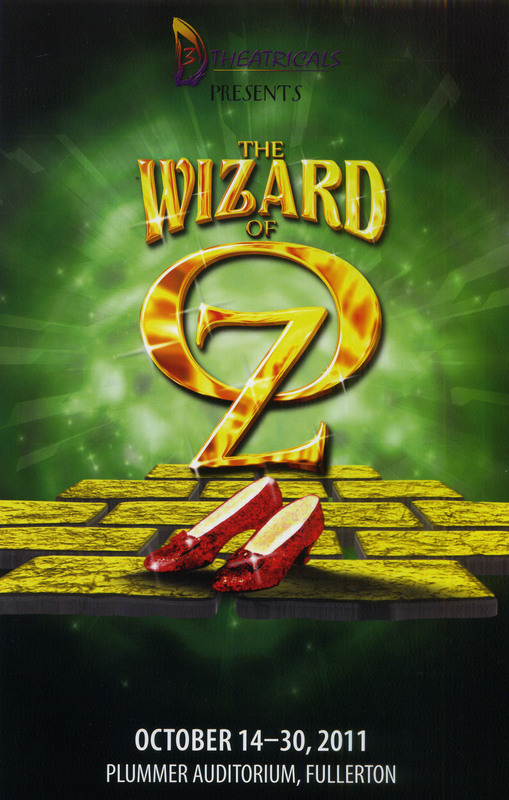 Hailed as “Orange County’s Newest Theater Company“, the organization lost their previous performing space last year when “The OC Pavilion” was bought by the Orange County Performing Arts High School; but in a fortuitous turn of events, they were able to take over the Fullerton Civic Light Opera’s entire 2011 season (–including “The Wizard Of OZ“) as part of an agreement which allows them to effectively move into their celebrated venue as well. 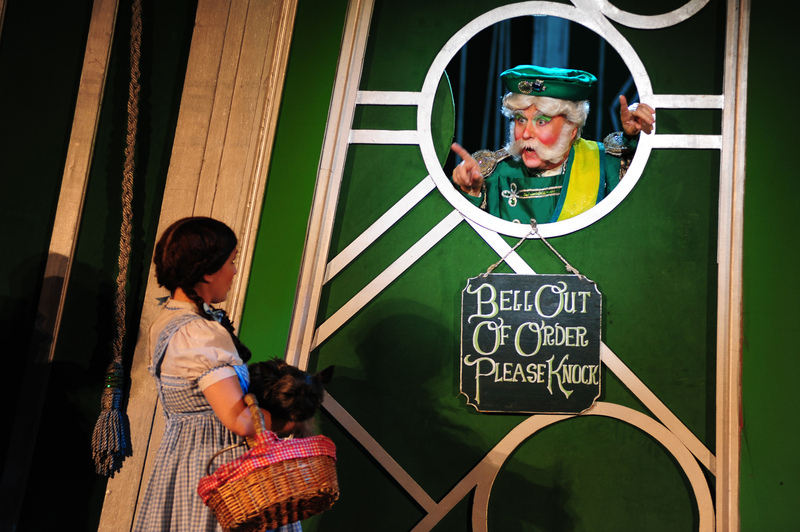 So ‘come out, come out where ever you are‘–you don’t have to wait for a twister to be ‘off to see THIS “Wizard“! 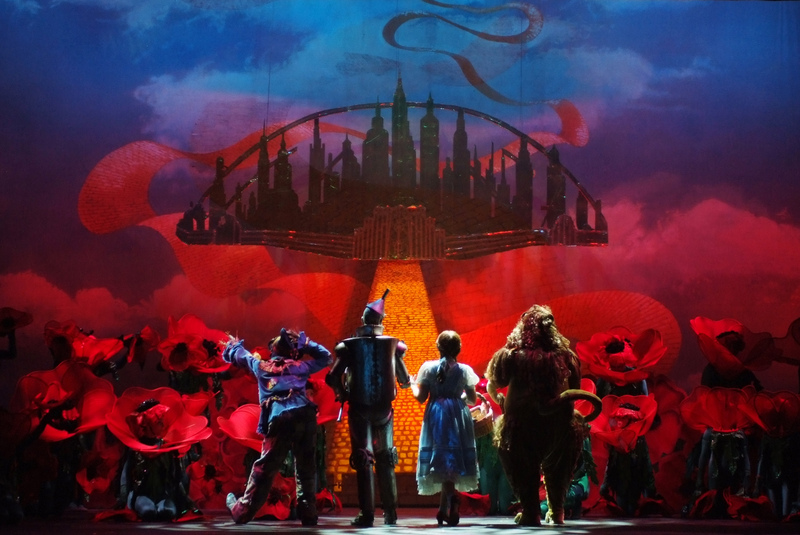 Plummer Auditorium is located at 201 E. Chapman Ave in Fullerton California and runs through Sunday October 30th. The curtain raises at 8pm for performances on Oct 14,15, 20, 21, 27, 28, 29, while Sunday matinees are at 2pm on Oct 16, 23, 29, 30. 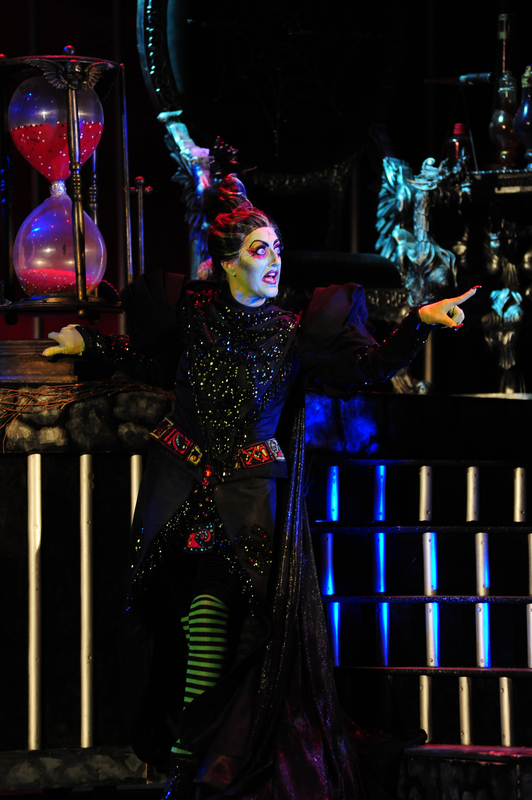 There’s also a special Thursday evening show on Oct 23 at 7:00 PM. Tickets range from $22.00 for students, Front Orchestra $56.00, Rear Orchestra $52.00, Lower Balcony $34.00 and Upper Balcony $28.00–better yet, there’s no need to ’click your heels’ to get them! To make reservations or for more information call: (714) 589-2770 or log onto: www.3dtshows.com . All Photos By Alysa Brennan, Courtesy Of 3d Theatricals. Special Thanks To TJ Dawson, Carlos Martin, And To The Cast & Crew Of 3D Theatrical’s “Wizard Of Oz” For Making This Story Possible. This entry was posted in Theater reviews and tagged 3D Theatricals, Classic Musicals, Cowardly Lion, Dorothy Gale, Fullerton California, Glinda The Good, Harold Arlen, Munchkinland, Munchkins, Plummer Auditorium, Somewhere Over The Rainbow, Southern California Theater, Stage Revivals, The Scarecrow, The Wizard Of OZ, Tin Man, Toto, Wicked Witch Of The West, Yip Harburg. Bookmark the permalink.